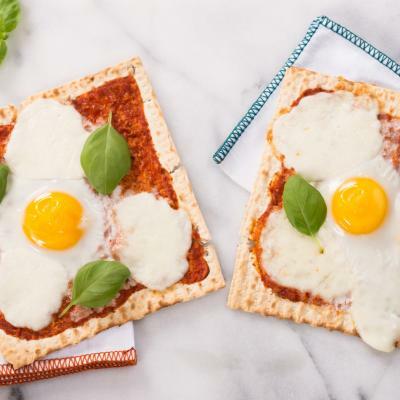 With marinara sauce for dipping, kids will love these savoury pancake sticks for breakfast, lunch or dinner. In large bowl, whisk together flour, baking powder, Italian seasoning, sugar, salt, and garlic powder. In separate bowl, whisk together eggs, milk, and 2 tbsp (30 mL) oil until blended; stir into flour mixture until just combined (batter will be lumpy). Fold in mozzarella, pepperoni, red pepper and Parmesan. Transfer batter to measuring cup or pitcher with pourable spout. Let stand for 10 minutes. Preheat large non-stick skillet over medium heat; brush skillet with some of the remaining oil. Working in 4 batches, drop batter, using 1/2 cup (125 mL) measure, into skillet or onto electric griddle to form each pancake, leaving space between pancakes (wipe skillet between batches and brush with remaining oil as needed). Cook for about 2 minutes or until bubbles form on the surface. Flip pancakes; cook for 1 to 2 minutes or until bottom is golden brown. 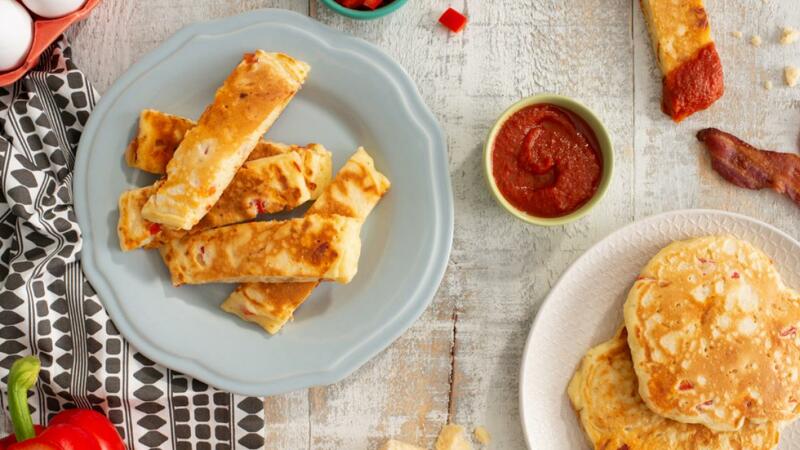 Cut pancakes into sticks; serve with warm marinara sauce for dipping. 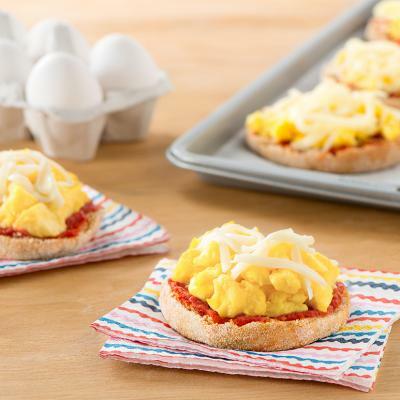 • Freeze leftovers and reheat in toaster oven for a quick snack. • Substitute your favourite pizza toppings: try cooked and crumbled Italian sausage, ham or steak, or any leftover vegetables, such as mushrooms, broccoli, and zucchini. 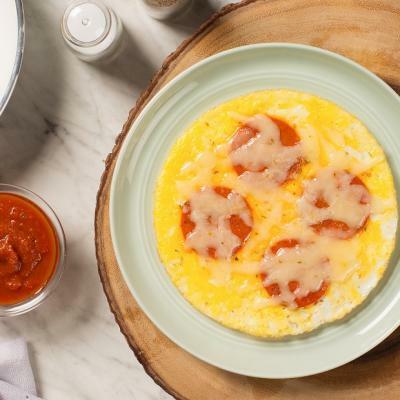 • For extra-cheesy dippers, sprinkle with additional mozzarella cheese before serving.